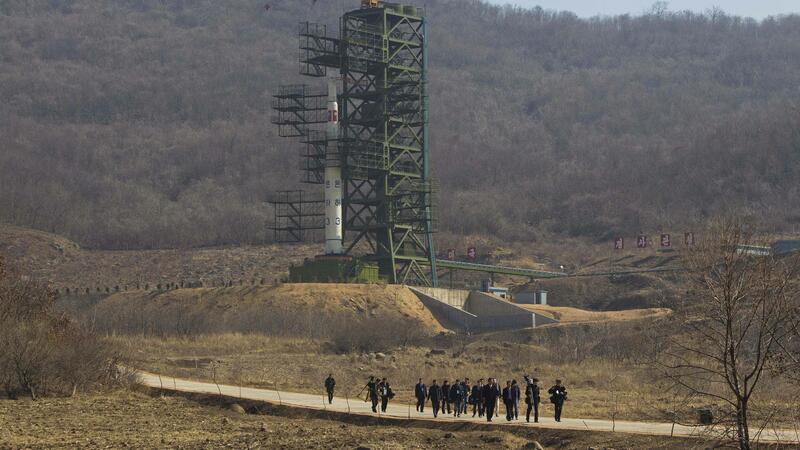 The Sohae Satellite Launching Station was the site of North Korea's first successful space launch in 2012. The North now says it will dismantle the facility. North Korea has many ballistic missile facilities scattered throughout the country. But experts who have been watching the site say the gesture will do virtually nothing to hamper the North's missile and nuclear weapons capabilities. Instead, they say, the move represents the latest in the North's piecemeal disarmament on its own terms. In May, North Korea demolished entrances to its underground nuclear test site, without the presence of inspectors. Closing this missile site "may not be completely cost-free, but in the grand scheme of things it's not a particularly big step towards disarmament," says Vipin Narang, an arms control researcher at MIT who follows the North's program. Narang notes this is the same site that North Korea promised to partially dismantle at the conclusion of talks with president Donald Trump back in June. "The fact that Kim is milking a single test-site for basically months on end is pretty remarkable," Narang says. The North's announcement came during a summit between Kim and South Korean President Moon Jae-in. The two leaders also discussed drawing down troops along the border between the two countries and a joint bid to co-host the Olympics. The site is known by several names: Tongchang-ri, Dongchang-ri and Sohae. It was largely referred to as Sohae following talks with Trump, but in the latest statement Kim refers to it as Dongchang-ri. "That confusion, I think, is by design," Narang says. Using different names might convince some that North Korea is making an additional commitment. Sohae has been home to North Korea's space program, according to Joseph Bermudez, an imagery analyst with the website 38 North. In 2012, North Korea successfully launched its first satellite from Sohae. A second launch took place in 2016. While the site's main purpose was ostensibly civilian, Bermudez and Narang say that rockets used to launch spacecraft share much in common with intercontinental ballistic missiles (ICBMs). "Technologies can be transferred between civilian and military programs," Bermudez says. Narang says some ICBM rocket engines were once tested at the Sohae site. Sohae was important to North Korea's space program, but it has not been as active in recent years. Following the 2016 space launch, the site was used to test a handful of shorter-range scud missiles, according to a database maintained by the James Martin Center for Nonproliferation Studies. The last test took place in March of 2017. In recent months, Bermudez and other experts at 38 North have seen signs that buildings at the site are already being taken apart. It appears work has stopped for now, he says. The North's ICBM program has many other sites it can use. 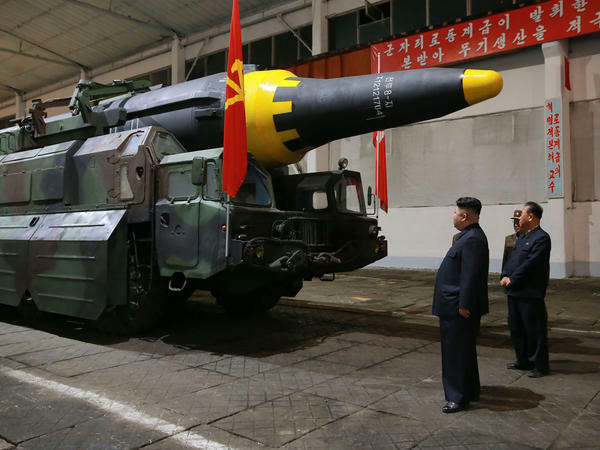 Pyongyang's newest, biggest ICBMs have been tested from fields and airstrips scattered throughout the country. And in recent years, North Korea has been researching solid-fueled missiles, which can be launched more quickly than the current generation of liquid-fueled ICBMs. Those missiles have been tested at a site known as Magunpo on the other side of the peninsula. Meanwhile, Narang says, North Korea is widely believed to be building up its nuclear arsenal: "They claim they're already mass-producing the ballistic missiles and nuclear weapons that they've already tested." Both experts share an equally dim view of Kim's promise to allow outside experts to watch the dismantlement of Sohae. For one thing, "it's not clear who an expert would be," Narang says. Whoever they are, he doubts they would come from a body such as the International Atomic Energy Agency, which was kicked out of North Korea in 2009. The offer to let experts watch is far short is what most experts would call verifiable disarmament, adds Bermudez. True denuclearization would involve the north declaring both weapons and facilities. Then, international inspectors would aggressively check to make sure the North was keeping with its declaration. Despite limited nature of this latest promise, Bermudez says today's announcement still counts as a positive step. "Any agreement with North Korea is the beginning of a long-term process," Bermudez says. "I'm an optimist at heart."